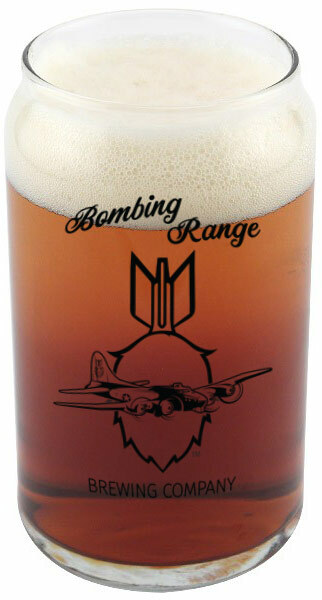 At Bombing Range Brewing Company, we love beer! Sure, every craft brewery says that and probably means it too. We just wanted to get that out in the open from the start and move on to more important items. Beer is meant to be enjoyed, not scrutinized, over-analyzed and judged. We know there are some bad ones (Cough, *input your least favorite beer here*) out there. Our beer is best enjoyed in the company of friends and family, old and new, anywhere and at anytime. Are we perfect? Hell no! And that’s why we love your feedback. Keep in mind we are human and being inconsiderate is just plain rude, but we’re always looking to up our game and make even better beer than we already have. An unfiltered Bavarian style wheat beer made with German grains and hops. Our Hefeweizen is fermented a little warmer to enhance the clove and banana esters from the yeast, common the German style Hefes. We tried to keep it simple to a traditional Czech style pilsner. Brewed with Bohemian malts and Czech Saaz hops, we think we did alright. Easy drinking for those hot summer days! An easy drinking pale ale with a rich malt profile balanced by a strong but manageable hopping. A touch of bitterness on the end just to keep it real. This beer is named as a shout out to our Men and Women in Law Enforcement. THANK YOU! An easy drinking golden IPA made with Simcoe and Citra hops and a generous amount of white wheat. We named this beer after the B-17 bomber that was funded by the Hanford workers who donated a “Days Pay” to pay for the plane’s construction. Pacific NW 2-row and wheat make up the bulk of this beauty, finished with El Dorado and Mosaic hops. Flavors of citrus and tropical fruit. The 91 IBUS are tamed nicely by a bold malt flavor…but don’t be fooled, the bitterness is still there to let you know you are drinking an IPA. THE MOTHER OF ALL BEERS, M.O.A.B. is a true “hop bomb.” Fruity, juicy, and unfiltered. Tons of late and dry hop additions of Galaxy hops give this beer a touch of tropical fruit and citrus notes. Ask your server about our seasonal beers. © - Bombing Range Brewing Company.